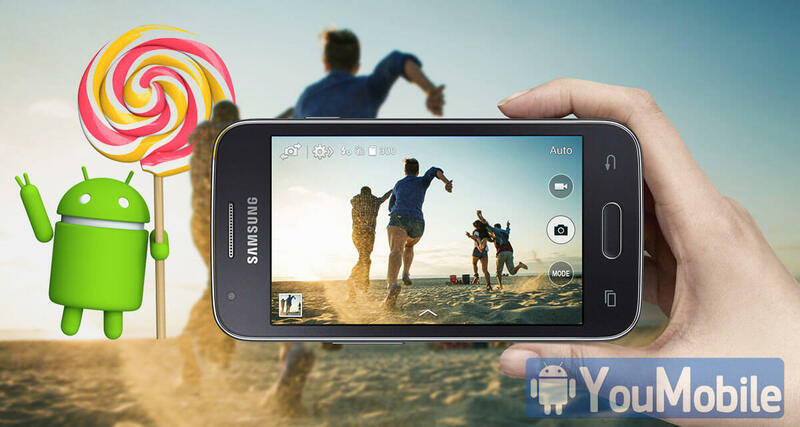 Samsung has officially Canceled Galaxy S4 mini Android 5.0 Lollipop update due to performance issues that will affect the user experience. Today, Samsung UK announced via its official Twitter account that the Galaxy Ace 4 won't get the Official Android 5.0 Lollipop. So far, there is no official explanation for Canceling the Ace 4 Lollipop update, we assume that it's for the same reason as S4 mini, poor performance while running TouchWiz UI on Lollipop. This is the 2nd low-end device that doesn't get Lollipop update. 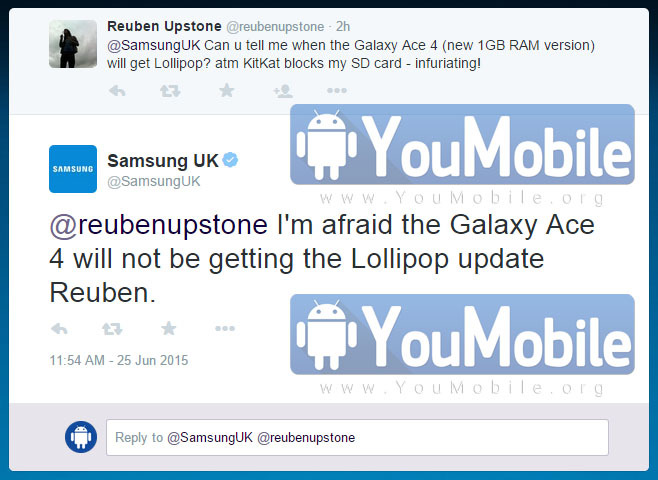 @reubenupstone I'm afraid the Galaxy Ace 4 will not be getting the Lollipop update Reuben. @ab3c10376435494 We can confirm the Ace 4 won't be getting Lollipop. For the E5, where did you purchase this device from? Samsung UK branch has confirmed to us that the Update for the Galaxy Ace 4 has been "Canceled", the device's firmware update didn't pass the Testing stage. The Korean Giant always cares for its User's Experience and this update would've affected this experience. This is a Bad News for all Ace 4 owners around the world and we are very sorry for that.